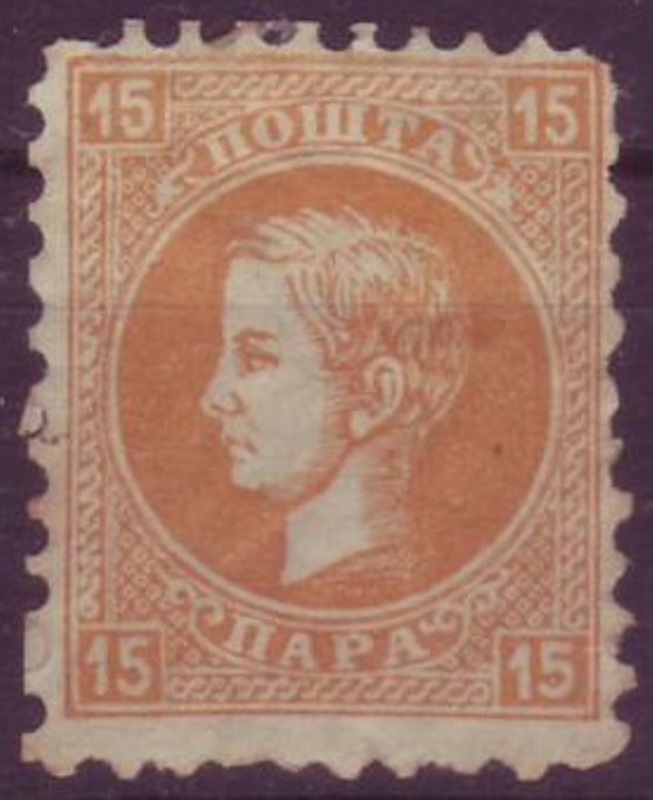 Few issues from SERBIA (classic) period shown here. Must to inform, that this period (first 120 to up of 150 numbers in Michel catalog), are very-very hard to find in perfect condition. Almost non-exist in MLH condition, and all what You will see available, will be with some kind of fault. 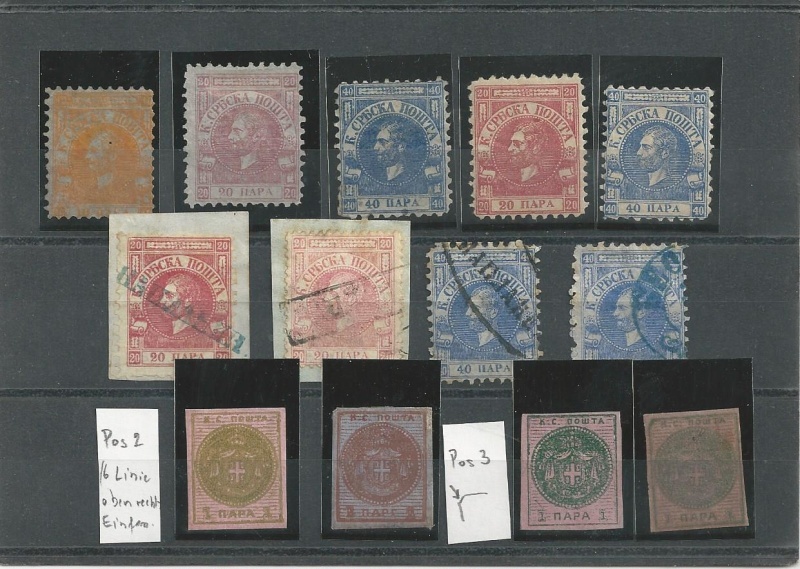 Michel catalog value this period very high for MH, MLH samples, and MNH material are selling over 200% of Michel catalog. Auch hier einige ältere Marken von Serbien. 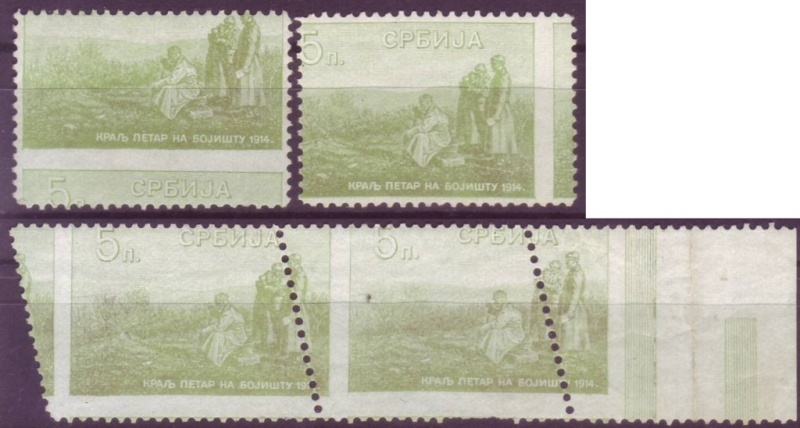 This is one country (Serbia) with very interesting history! From great battle on Kosovo territory against Great Turkish Empire, till today's time! 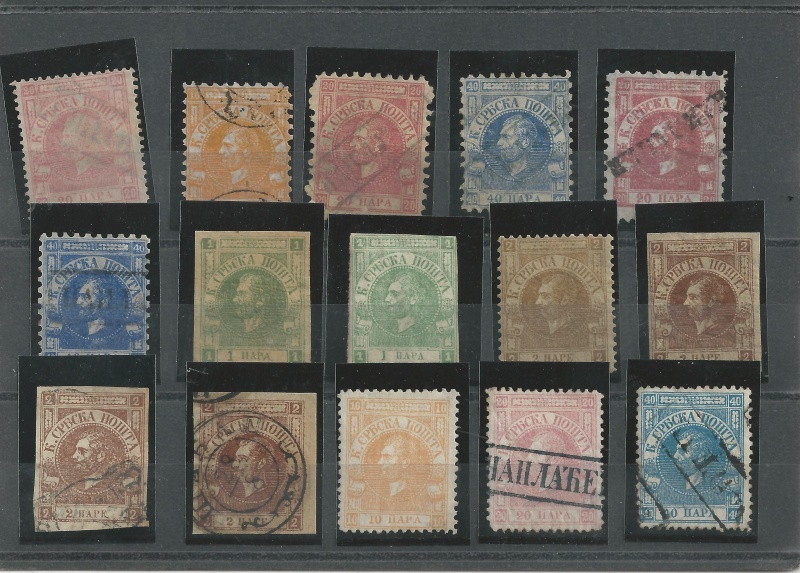 How it affect Philately are very visible on, when someone wish to make complete collection, which can be almost impossible task. In this small world, I know probably just one or two person that have it completed, and next 15 to 20 who reach one serious level. 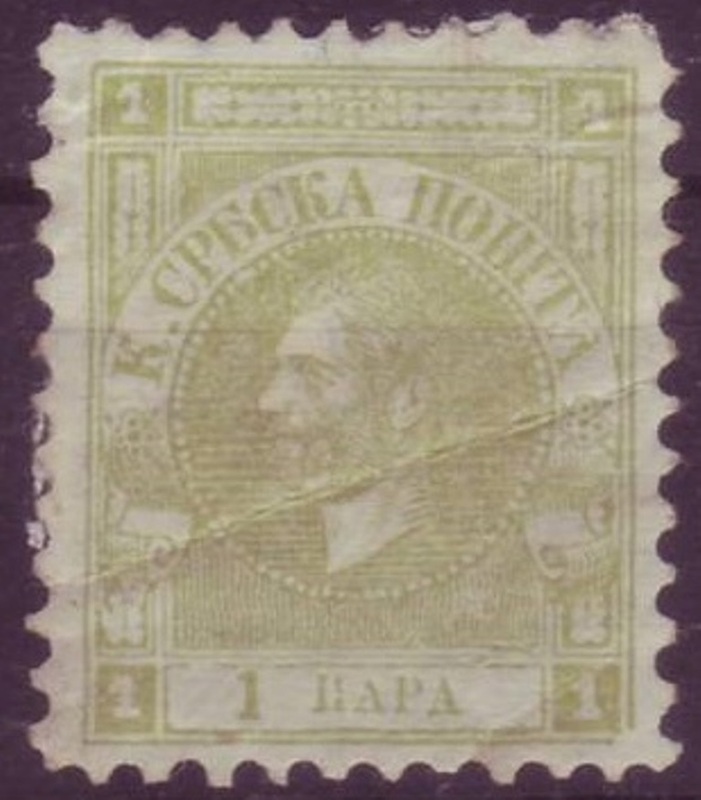 We know that Serbia made first postage stamp on 1866 (May), with Coat of Arms design, and following it, come next issue (July) with Prince Mihailo Obrenovic III portrait on stamp. 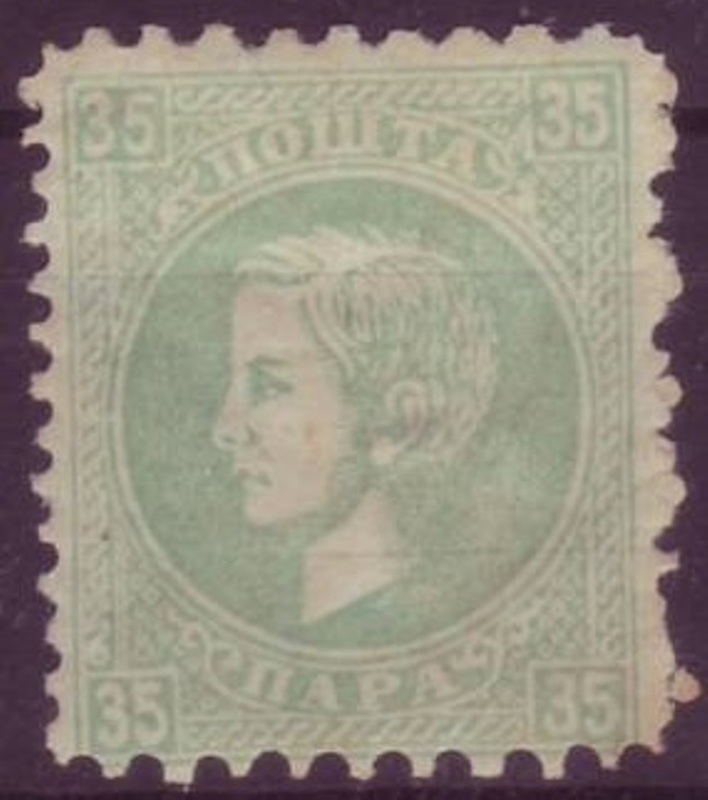 When talking about completing this country in postage stamp collection, we must to understand, that stamps from this period, because time period, printing quality, and history, are mostly impossible to find in perfect, or even "good" condition. Most of material will be without glue, and with heavy hinges on back, if You will find samples without "rust", You can say "Hallelujah"! There will be, as usually "missing" corner, or folded (as shown on photo), otherwise, if someone will offer You this period material in "perfect" or "very good" condition, be very suspicious, as it can be some kind of fake. There is NO samples of in perfect condition. As You see from this issue from 1869 year (Prince Milan Obrenovic), there is "normal" quality You will (very hard) find on free market. Another obstacle come with perforation varieties that are registered in Michel catalog, and there is many of it! So, what is reason that I say "Stamp Must Have"? With all this quality in question, I still say, You MUST have it if You wish to make one serious collection, that will have market value, and that when "we" pass away, our children/s or grand-children/s will have something about what to talk, something that have VALUE! I try to search market and collectors who offer this material on web or on direct sales, and result are very "grave"! See in Michel catalog, and from first line You can read, that mentioned prices are for HINGED, to very hinged quality! Mean, that in good quality, You will pay premium over full catalog value, if You have luck to find it at all! For items, that have high catalog value, obviously, You will need certificate, as price ranged from few $ to few thousand $ per sample! That mean, if You go for "hunting" this material, do it just from personal dealer, or take risk (which can cost You lot)! Good luck and "Mazal Tov" (מזל טוב) to any good purchase!